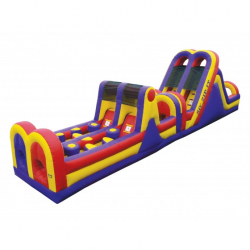 Add a fun and unique attraction to your next gathering, event, or party with an obstacle course from Air Fair Entertainment! An obstacle course gives guests a place where they can test their mettle against one another as they dash to the finish line, facing a variety of fun and dynamic obstacles along the way! Offerings in this category include the Seaweed the Seahorse course, the exhilarating Toxic Drop Obstacle course, and the absolutely ridiculous Velcro Obstacle Course! 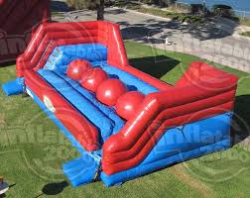 Perfect for corporate events and school/church festivals, an obstacle course is a fun surprise that will undoubtedly leave a lasting impression on guests of all ages! If you have any other questions, we invite you to call us at Air Fair Entertainment directly. 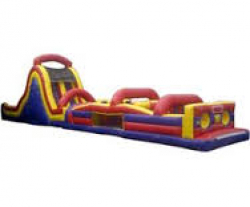 Secure the obstacle course of your choice in advance via our easy-to-use online booking system!